Dr. Michael Damrich – Cardiovascular Associates, P.C. Dr. Michael Damrich is a native of Mobile. He attended Auburn University and the University of South Alabama Medical School. He obtained his general and vascular surgical training under the direction of Dr. Michael E. DeBakey in Houston, and was selected to continue his training in cardiovascular and thoracic surgery with Dr. DeBakey. 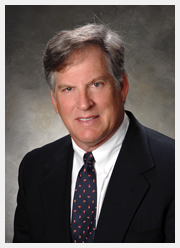 Dr. Damrich is a diplomate of the American Board of Surgery and the American Board of Thoracic Surgery. He is a fellow of the American College of Surgeons.